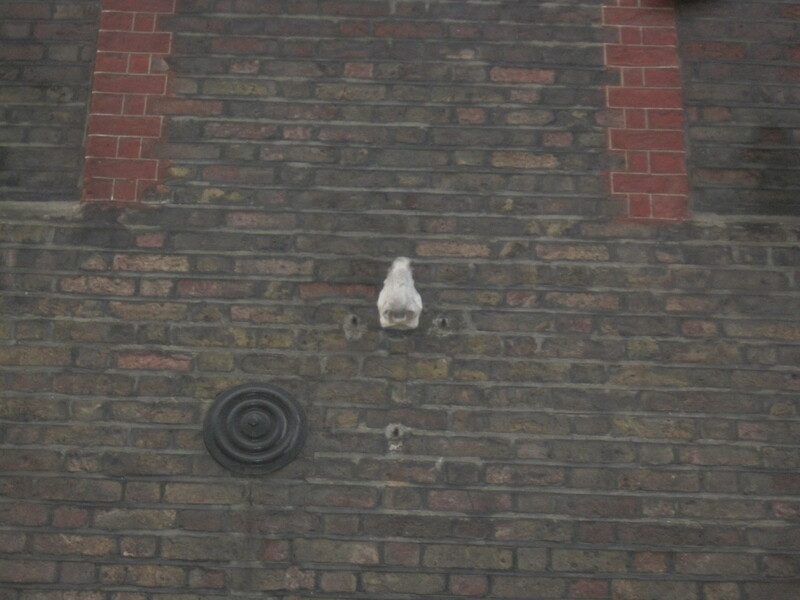 After my recent hunt for the Seven Noses of Soho (and eternal wealth, natch) I’ve become completely obsessed with the things. While wandering around London trying to sniff out snouts everything (rivets, drainpipes, shadows, graffiti, small children) started to look like another one of these noses. So since I’ve got olfactory organs on the brain, I thought I’d take a look at the significant smellers of pop culture. 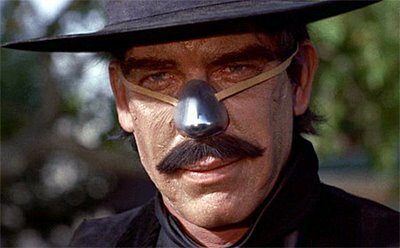 Strawn (Lee Marvin, who also played Kid Shelleen in the film) was the menacing man hired to kill Cat’s father so the Wolf City Development Corporation could get his ranch. His nose had apparently been bitten off in a fight, and he sported a tin replacement which only added to his surreal, menacing appearance (and helped to differentiate him from Shelleen). 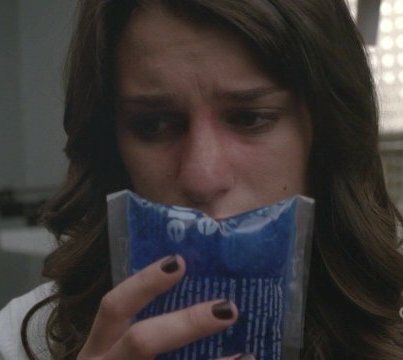 When Rachel suffered a nose injury it gave her the opportunity to explore rhinoplasty to change her appearance (and to look more like the popular and apparently perfect Quinn). Ultimately a well-timed Barbravention organised by Kurt made Rachel reconsider the idea, but the plot both tapped into teenage body angst and ended up celebrating uniqueness. This Rachel did get a nose job as a teenager, as can be seen from her much larger nose in flashbacks, and despite her claiming that it was to fix a deviated septum it’s insinuated that the procedure was a cosmetic choice. The chubby Monica of yore made her first appearance in ‘The One With the Prom Video’, and Rachel’s big nose (as well as Ross’ ridiculous hair and moustache) were apparently added to give a sense of past ‘realness’ to contrast with how good-looking they all appeared as adults. 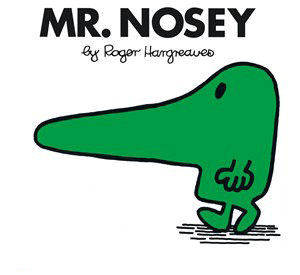 Mr. Nosey is one of Roger Hargreaves creations from the Mr. Men series of books. True to his name he had not only a huge nose, but also an incredibly curious personality which could get him into trouble. His snooping was apt to annoy others, and made him unpopular. He was eventually taught some rather painful lessons about exactly where sticking his nose in would get him however. Rachels and significant noses appear to go together. In this case it’s not about surgery though. Rachel’s alpha ability is the power to hyper-intensify her senses (curiously referred to as synesthesia within the show). Her super-smelling ability, along with enhanced hearing and sight (taste and touch haven’t played much of a role as yet), helps the team to solve the crimes they investigate. To be fair the entire dinosaur family in this kid’s show (based on a series of books by Tony Bradman) all had noticeably sized snouts. Dilly, the youngest member of the family, never meant to be naughty but when frustrated he tended to bust out his 150-mile-per-hour super-scream, which only made things more stressful. 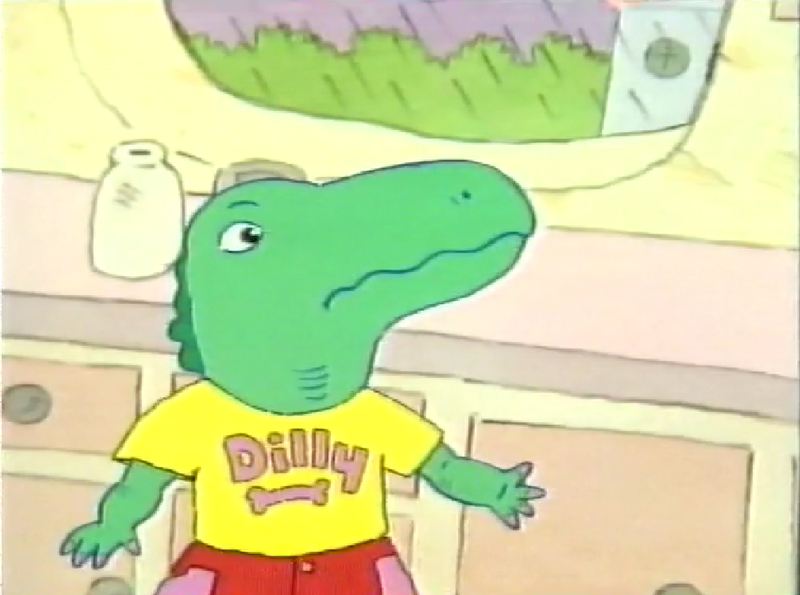 In one episode Dilly’s teacher threatened his nose if he didn’t behave, and it traumatised both Dilly and me. 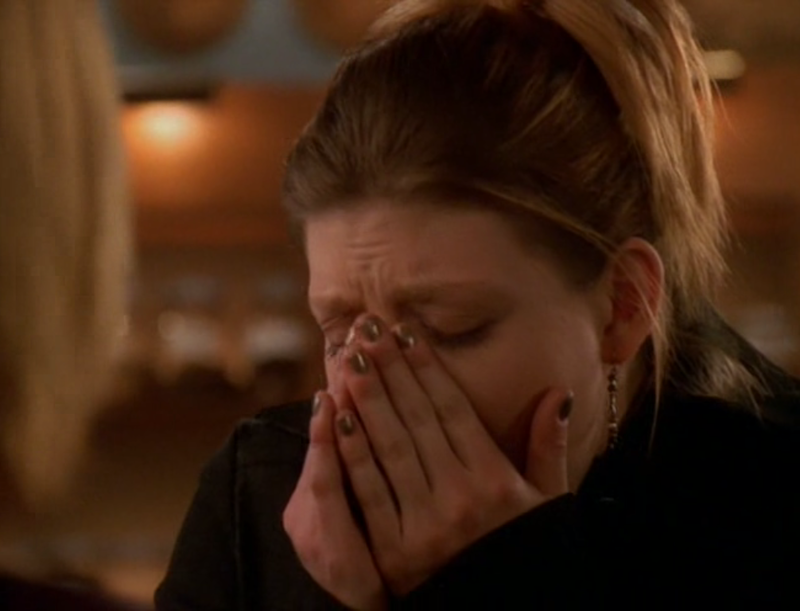 Spike punching Tara in the nose- and feeling pained as a result of the chip the Initiative put in his head (which was activated if he attempted to harm a human)- proved without a doubt that she wasn’t a demon. This demonstrated that her family had lied to her when they said she’d become one after her twentieth birthday, and were essentially using this legend to control their womenfolk. The nose injury might have hurt in the moment, but it led to her gaining her freedom from the Maclays, and to discovering who her true family (of friends) were. 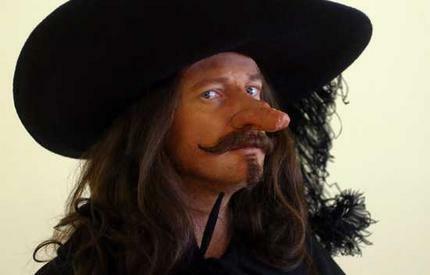 Edmond Rostand’s play of 1897, which bears very little resemblance to the life of the real Cyrano de Bergerac, is about a man whose big nose makes him too insecure to express his love for the beautiful Roxane. It’s been adapted myriad times, and elements of the plot have been utilised in various TV shows- including an episode of Sabrina, the Teenage Witch entitled ‘Getting to Nose You’. Like many other supernatural beings, including vampires and shifters, Alcide (a kindly werewolf) is depicted as having enhanced senses. His olfactory powers have been especially appreciated as Sookie literally used him as a bloodhound to track down Eric in his amnesiac, fairyblood drunk, lost in the sunshine state. If more of that means more gratuitous practically nekkid Alcide scenes, I can only hope that his nose is needed in every episode. Pierce taught him the tricks of manly sneezing however. Isn’t it nice when a story has a happy ending? And now let’s all listen to ‘Everyone Nose’ by N*E*R*D. Cos it’s fantastic. Which noses from pop culture productions do you think are the ones to watch? Tell us all about such nostrils in the comments. I enjoyed Everyone Nose Pop Culture Playpen OMG!. One of favorite posts of all time.